Wow those look fantastic. 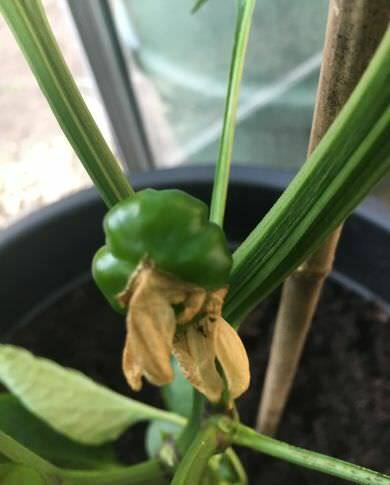 I hope mine grow as every time I see the little green pepper popping through it falls off :-( Have a load of buds and around 4 flowers opened. Temperature could be too high - can you move them outside until the temps drop a bit? Can you shade them slightly if they are in full sun? Are there plenty of pollinating insects in the greenhouse? If not, then try hand-pollinating the flowers. Scarlet and Earthgirl Jen like this. I’d give them a feed,the nutrients in the compost doesn’t last that long. Potassium like tomato feed helps plant cell health,flowers & fruit. Last edited by Jungle Jane; 10-07-2018 at 01:44 PM. Are there plenty of pollinating insects in the greenhouse? If not, then try hand-pollinating the flowers. 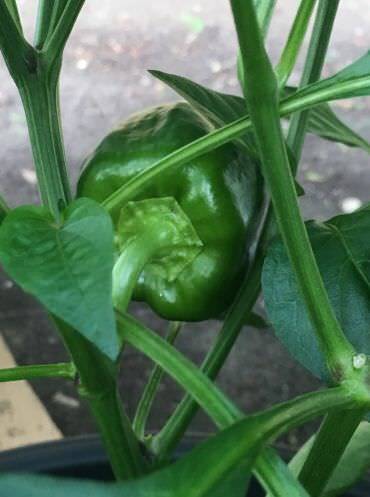 I may be wrong but it looks like little peppers have already formed so pollination doesn’t seem to be the problem.....though some GH shading / netting may help. Last edited by Scarlet; 10-07-2018 at 10:25 PM. They just need a bit of time Jane, hand pollinating could help, you have HEALTHY looking plants. Once you first pot on your pepper then it has more compost in the pot than root so we water accordingly, enough to keep the roots growing but we don't want to water-log the whole pot. This process takes 4-8wks depending on the weather. Peppers can take being a little dry in their pots during this process, it gives their roots a purpose, to search for water and makes them grow and reach for moisture ... Apologies if I'm making this sound difficult. Look after your plant first and the peppers will follow, does this make sense? Maybe i'll take a look as they may need staking anyway. Scarlet, Jonny.D and Jungle Jane like this. Jonny.D, Jungle Jane, Mitzi and 2 others like this.